Rockin’ M Horseback trail rides are off to a great start. 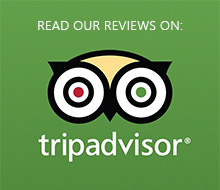 Will and Rian are doing a great job and getting great reviews from guests. We have recently improved our 1 hour ride trail along the Salt River and are excited to show guests the new trail. We expect that we will be crossing the Salt River on our rides starting in about a week. Book your ride today! We at Rockin’ M Ranch Horseback Rides, Alpine, WY are very excited for the upcoming 2018 summer. We have hired Will from Nebraska and Rian from Colorado, two college students attending the University of Wyoming. I think these guys are going to do a great job. We are also excited for the new and improved 1 hour trail that we will be offering, which winds along the Salt River bordering our ranch location. Many one hour rides in the region are not typically a good ride, for the simple fact that it is difficult to get far enough to open up opportunities for good trails and scenery in such a short time. I believe that the Rockin’ M Horseback Rides 1 hour ride will be the exception and possibly one of the best 1 hour horseback trail rides in the Jackson Hole, Wyoming area. Another ride that we are seriously considering offering is a horseback ride to a remote wood fired hot tub. This ride would be roughly a 45 minute ride to the already heated hot tubs, 2 hours at the location soaking, and a horse ride back, totaling a 3.5 to 4 hour adventure. This would be a very unique opportunity. I would really like to hear any opinions or suggestions for this ride. Please post your opinions of this ride to our face book page which can be linked through either rockinmhorsebackrides.com or rockinmranchwyoming.com.